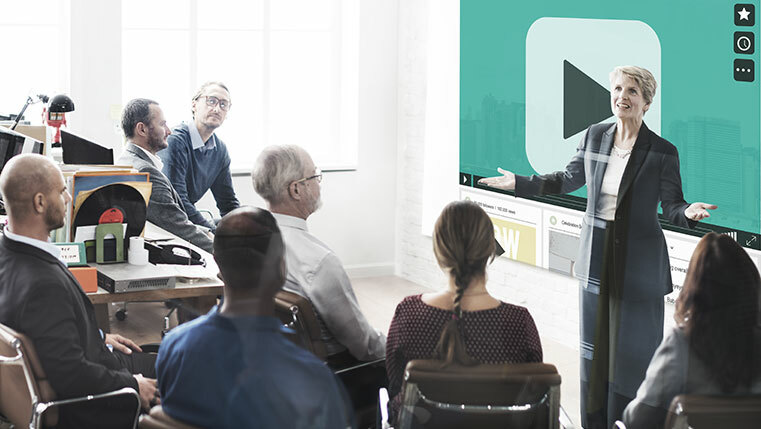 As a training manager, how do you wish to present your training content to your learners? What do you expect them to do at the end of the session? Do you want it to be just another training program or do you want learners to retain and apply the learning? Well, an effective training depends on the delivery method and the presentation of the content. Content is king and presentation is queen. They go hand in hand. In this blog, let’s look at how presenting content through animated and real videos helps enhance the learning experience. Before we dive in, let’s understand when and where these videos can be used. Honestly, there are no set rules to use videos in training programs. Animations and real videos are apt for various kinds of training programs and topics. However, there are a host of factors that are to be considered while choosing the kind of video to be used for a training program. Animated videos are apt when it comes to creating engaging and effective training videos. They are helpful in storytelling scenarios, demonstrating complex procedures, etc., On the other hand, real videos are useful when it comes to making personal videos, with a more humane touch. Human faces and real human emotions are harder to replicate, therefore, animated videos will not score in that segment. Dreary and humdrum concepts can be brought to life with animated videos. You are free to let your imagination run wild while dealing with complex topics. For instance, Process Training can be quite drab. With animated videos, you can help learners understand the process with ease and also explain why a particular procedure is to be followed. There are many tools in the market that help in creating animated videos. GoAnimate is one such tool that allows you to create animated videos in less than five minutes. One of the greatest reasons to use animated videos is that they offer the flexibility to give a clear context to any far-fetched idea that is presented. For instance, if you want to present a sales pitch to your clients, you use an animated explainer video to present the pitch, which addresses and explains the concepts clearly. Animated videos get more traffic to your website, which encourages people to make a purchase. Product videos are great marketing tools and more likely to increase the purchase of a product. Animations are great at presenting complex physical actions, which are not as appealing with real videos. Animating abstract concepts helps learners understand the complexity. For instance, the anatomy of a human body is better explained by animation, without making it gory. You can make learning more fun and interesting with animation. Animated videos work tremendously well to demonstrate complex machinery. In the manufacturing sector, there are huge and complex machinery and it is very important for personnel to know how these machines are handled. Animated videos can be used to impart training on the use of machinery. One of CommLab’s manufacturing industry clients used animated video-based training to effectively train their workforce to use lathe machines. Real videos resonate with learners and they can associate better when they watch and learn. Videos engage two senses – visual and auditory – thereby enhancing the learning experience of learners. Videos are also quick to capture the attention of learners, and they can also be used to create immersive scenarios that are helpful for any situation, be it a ‘how-to-do’ or ‘when-to-do’ situation. With videos, learners can get a clearer picture of the situation and emulate it. With real videos, you can instantly connect with your learners. They are often to the context, making it more relevant to the audience. Real videos capture genuine facial expressions and the body language of the speaker, which makes content more authentic. For instance, if you were to train new hires, a real video with a message from the CEO would be a great start for them. Videos offer cognitive and affective experiences. With videos, learners are provoked to start discussions, or conversations that are deeply entrenched in the subject. For instance, new hires would be positively impacted when they watch video testimonials of former employees, or the senior management of the company, sharing their valuable experience. Videos are also helpful in honing the logical reasoning skills of learners. They help them analyze the theories and concepts and associate them with their lessons. The visual experience that learners gain helps them associate with the subject at a deeper level. However, tread with caution. Do not get carried away with the trend and overuse this amazing tool. Videos are great as long as they are engaging and interesting. Many people tend to dump all the content into videos, making them long and boring. Another major problem with videos is the bandwidth. If videos are not compressed properly, they may not play well. Therefore, ensure that you look into all the possibilities before you go the video way. They surely are engaging and interesting, if used properly. Why Does Video-based Learning Work in M-learning and Microlearning?